View our links for more information about our upcoming Everest View Glacier Schools . We are now accepting applications for the spring 2011 trips, so please join us. 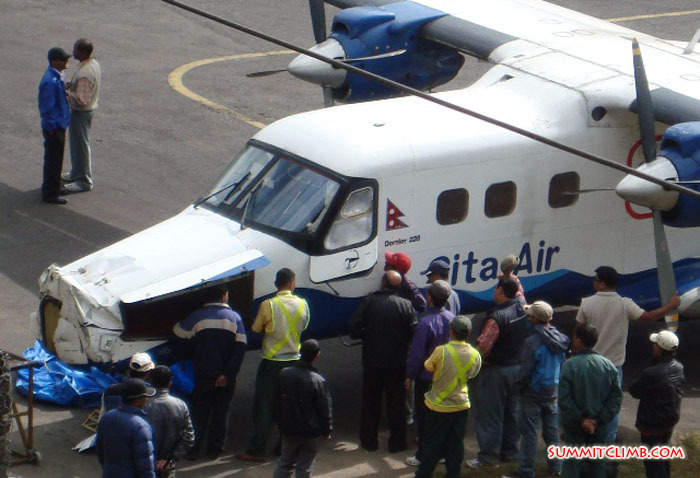 Trip Summary: http://www.everestglacierschool.com/ : We began our trip with a stunning and memorable flight on a 16 seat propeller plane to the little mountain airport of Lukla, followed by a gorgeous trek up through the forested green foothills along the Everest trail. We saw many big icy mountains popping out above us as we walked along easy wide snow free trails. The villages up here are small and quaint with pretty houses and terraced potato fields. 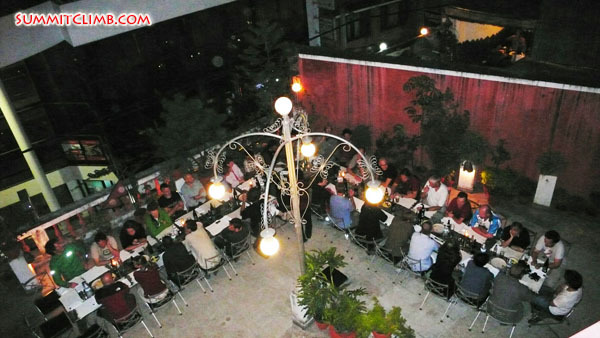 Our staff looked after us so well during the trek and we ate and slept well. After about a week of walking and rest days, we came to a beautiful grassy meadow and set up cho la basecamp at 4600 metres/15,050 feet. We rested for a day and then walked up to the cho la pass at 5320 metres/17,500 feet, where under the superb instruction of Ang Sangay and Raj, we practiced using ice axe and crampons, how to use ropes and ice screws, snow bar anchors, how to climb up and down on snow and ice, and how to travel safely roped together on a glacier. The following morning, we walked to the rocky Lobuche high camp at 5357 metres/17,550 feet, set up tents near the lake, and rested for the afternoon. Early next morning we woke up before dawn, and went for the summit with our head torches, following our trusty leaders Raj and Ang Sangay, along with three other sherpas. 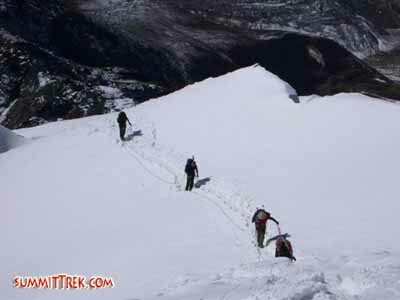 We walked on rocks for a while, and then put on our crampons when we came to snow and continued walking uphill. All in all this trip was a wonderful walking exploration, mountain learning and first mountaineering experience. 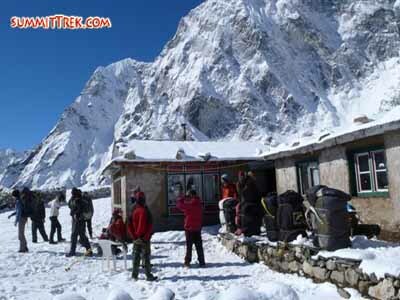 The Everest Glacier School is perfect preparation for Baruntse, Ama Dablam, Everest Nepal Training Climb, Everest Tibet Training Climb, Shishapangma, Cho Oyu, and Mustagata. Welcome to our team for the next school: 9 to 30 October, 2011, 8 to 29 April, 22 April to 13 May, and 9 to 30 October, 2012. 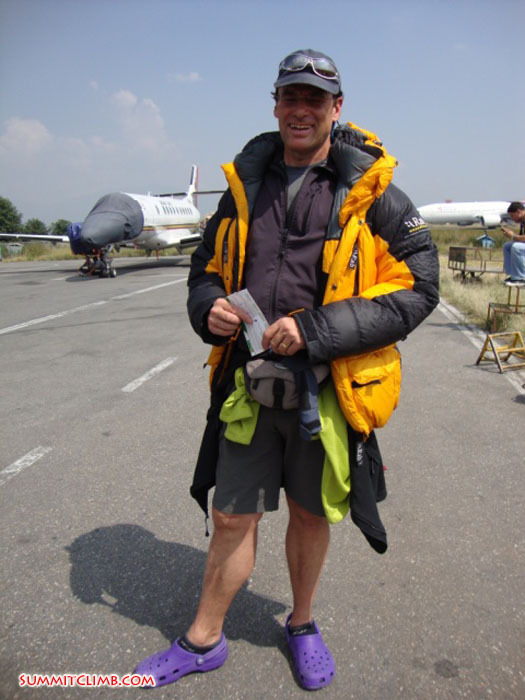 Hi, this is Ryan Nielsen with the Everest View Glacier School and Everest Basecamp Trek. Today is October 27th. 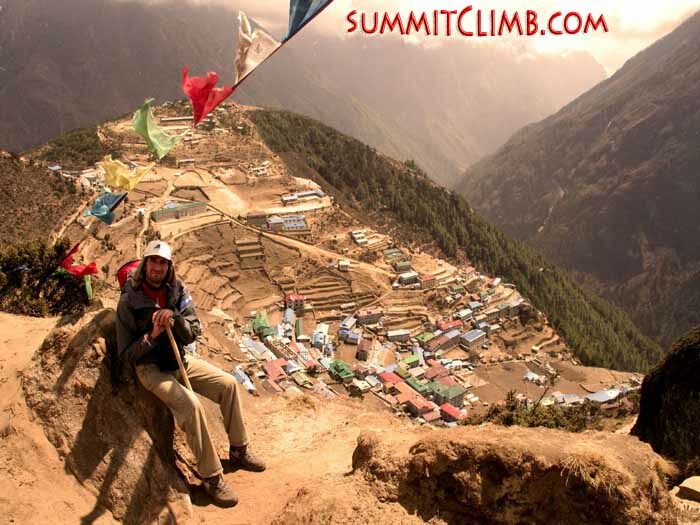 Our comfortable and fun SummitClimb Everest Basecamp (Keith Whelan). 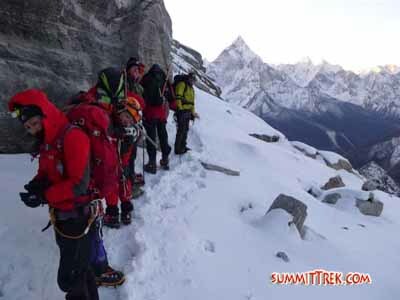 Whole team on the summit of Lobuche East! Hello from everybody on the Everest View Glacier School team. This is Grace McDonald. It’s about 8:30 in the morning and we’re standing on the summit of Lobuche East. We are all extremely tired, but very happy to be here. It’s a beautiful morning. We can see for miles around. 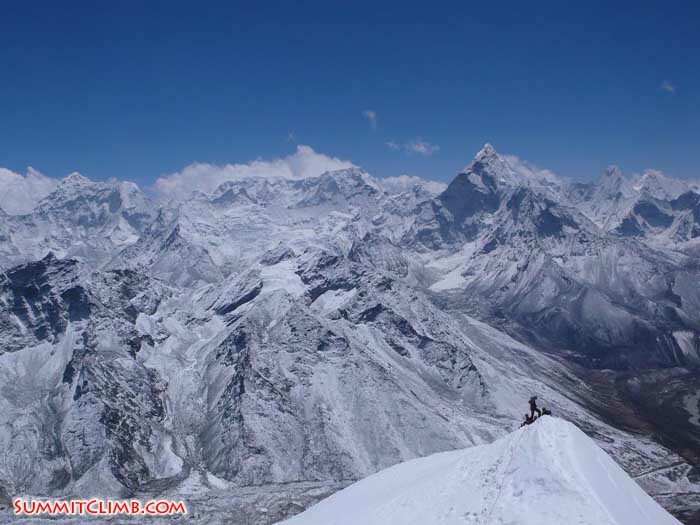 We can see Everest for the first time, Pumori, Makalu, Ama Dablam, Lhotse, Nuptse, pretty much everything. It’s fantastic up here. Now I’m going to pass the phone around. I had a tough climb, but Raj got me up here, so all thanks go to Raj. Hey, this is Jonathan with the glacier school. We all made it up here. I’m glad to have experienced this with my friends and new friends that I’ve made along the trip. I want to thank Raj, our excellent leader, for all of the support and guidance and our sherpas for getting us up here one way or another. It was fabulous. The ceiling at the top of the summit is absolutely unlike anything else. Now here’s Ryan. Hey, this is Ryan. We’re just enjoying the beautiful day that we have up here. There’s no way that we could have made it without the amazing support that we had from the people on the team, the leaders, and the sherpas. We couldn’t have done it without them. This is absolutely spectacular! I’m not looking forward to the climb down, but it’s going to be an adventure. I’m going to pass it off to Andrew. This is Andrew with the Everest View Glacier School. I’m just glad to have made it to the top of the summit on a perfectly clear day. I’d really like to thank the sherpas for literally dragging my bag up to the top of the summit for me when I was having some trouble. I can’t say enough how great the team is. All right. Enjoying the view. 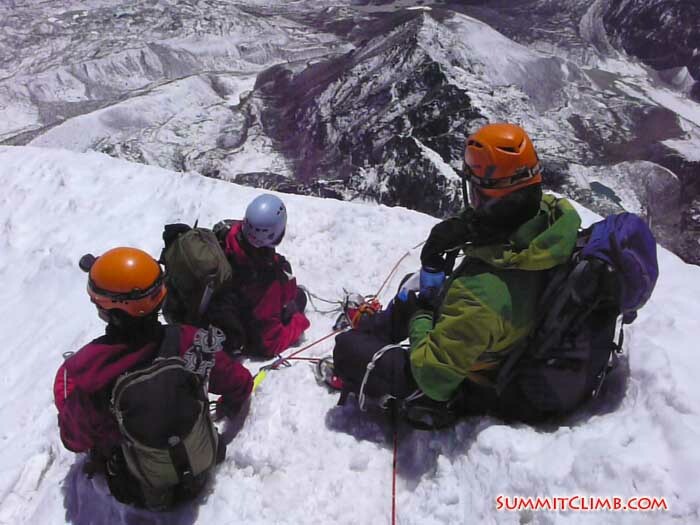 Members on the summit of Lobuche East (Max Kausch). 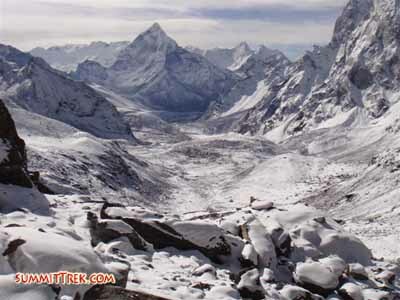 Hi, this is Jonathan Barbero with the Everest View Glacier School and Everest Basecamp Trek. Today is October 25th. 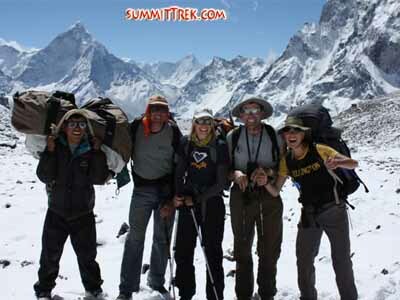 Hi, this is Grace McDonald with the Everest View Glacier School and Everest Basecamp Trek. Today is October 23rd. 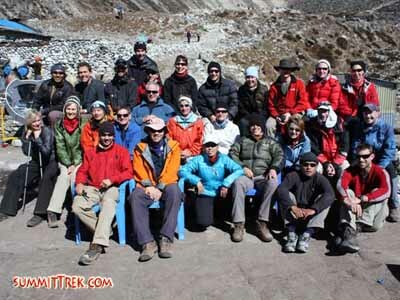 Hi, this is Amy Meyer with the Everest View Glacier School and Everest Basecamp Trek from Pheriche. Today is October 19th. All members are doing well. We stayed another night in Pheriche because the lodge is so nice and the food is really good. The clouds cleared and we got great views of the mountains. We did an acclimatization hike to 4700 metres/15,400 feet. Most of us are still battling the sniffles, but we are determined to win. 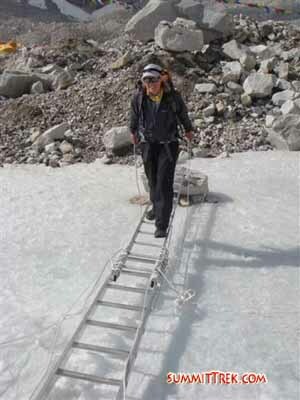 Hi, this is Grace McDonald with the Everest View Glacier School and Everest Basecamp Trek from Pheriche. Today is October 18th. We started the day out in Deboche and went to a nice little nunnery, where we had a good tour and some wonderful tea. Then we went to Pangboche and had tea at one of our sherpa’s houses, before going for lunch where the sky broke and we finally saw the mountains after a few days of rain and clouds. Then we took a nice little detour because we were all feeling pretty good to Dingboche for tea again and various other drinks at the Everest Lodge. Hi everyone, this is Raj, leader of the Everest View Glacier school and Everest base camp trek reporting in from Namche. Today is 16th of October, the third day of our trek and we are resting and acclimatizing in Namche at 3500 metres. Namche is an important Sherpa village with cafes, internet and bakeries. It is also the gateway to Mout Everest. We reached Namche yesterday in the evening after a wondeful hike up the Dudh Koshi river. The two hours uphill from Jorsale, from where we entered the National park was jammed with trekkers going up to Namche. 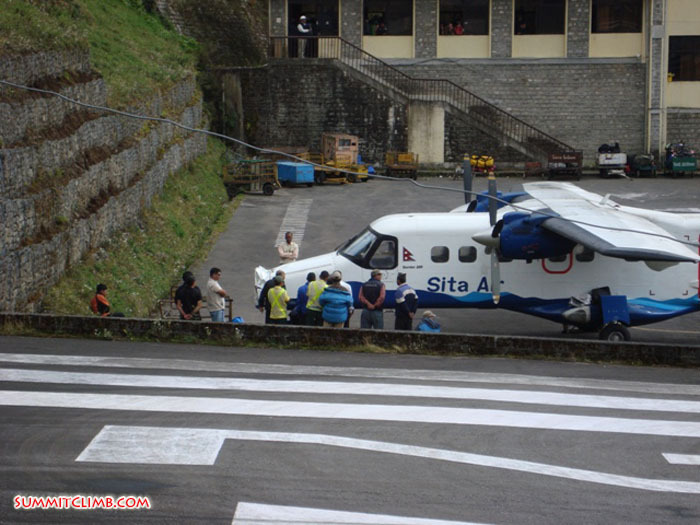 Everyone was stuck in Kathmandu due to delayed flights because of the bad weather. So, there were hundreds of trekkers up the way. It was fun, as we all stayed together and trekked. There was a little drizzle in the afternoon and it kept the temperature down as we all struggled uphill. Overall, we all enjoyed it and it was a wondeful trek. We stopped a lot to take photographs and wait for the yaks to pass us. Today, the 16th of October, the EVGS and EBC memebers trekked to Kunde to acclimatize. The weather was not really good as it is raining here today, but it was important to hike today to acclimatize and gain more elevation. Everyone is now back from the hike and is resting now. 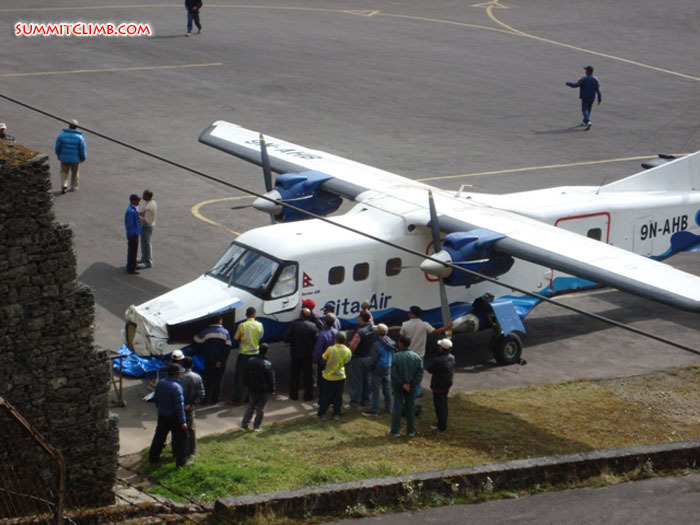 Tommorow, we will be leaving for Thyangboche/ Deboche. 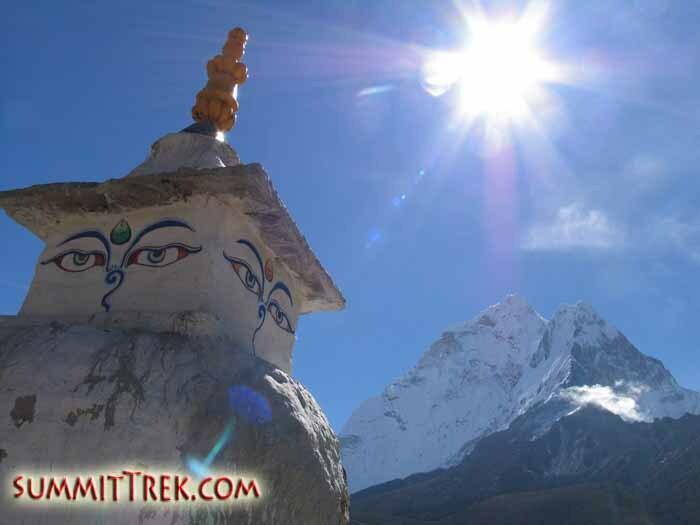 The trek is beautiful, and hopefully if the clouds disappear, we will be seeing Ama Dablam, Lhotse, Thamserku and Everest. 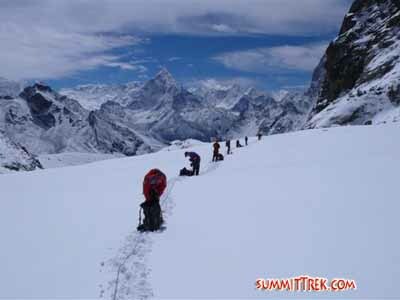 We will be walking through the rohodendron forest and will arrive at the famous Thyangboche monastery. All the memebers are doing well, strong and happy. We will be posting more dispatches later in the coming days. Thank you for following our news site. 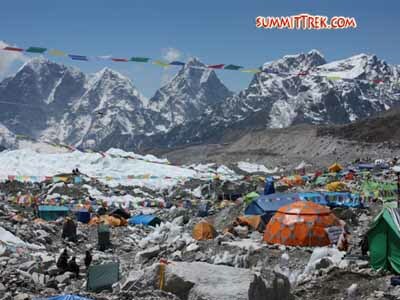 Hi, this is Ryan Nielsen with the Everest View Glacier School and Everest Basecamp Trek. Today is October 14th.